This month photographer Julia Hetta has shot a very beautiful editorial for Dazed magazine. A black and white story featuring numerous models, the feel is very classic and romantic, with tailored, clean styling from Hannes Hetta. The hair is what really sets these images alight, each model fashioned with a wind swept, bird’s-nest type hairstyle, backcombed and teased into a delicate sculpture. The lighting is simple and very natural, closely replicating natural light from a window. The set is equally as inspiring, folded material placed on the floor, or to cover a chair, creating further layered and rippled effects, emulating the clothes. The models are very classically and naturally beautiful, and are left with a bare face, minimal make up. The over all look and feel of the shoot is very picturesque, all elements coming together and carefully complimenting each other. 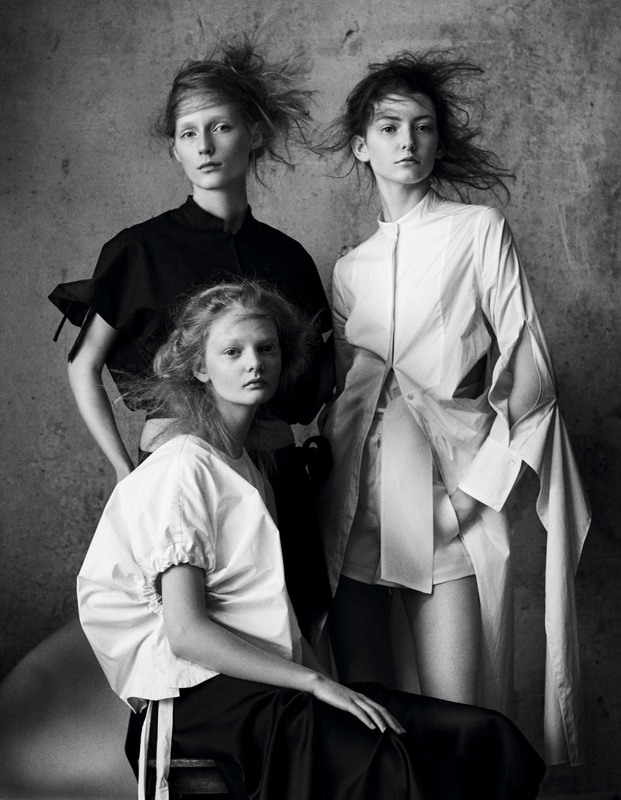 We would love Julia Hetta to shoot with us at SHED, fingers crossed she visits us soon! If you are looking to hire a photography studio in London then get in touch. SHED offers the best price on East London photography studios.